Another episode from Sift heads series. 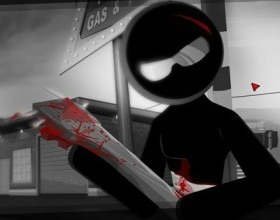 As usually the game is full with crime, blood and action. 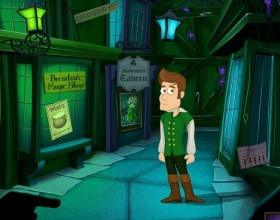 Follow the game scenario and complete various missions to win the game. Follow instructions in the game. 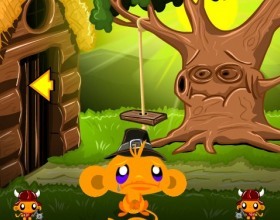 This time in Monkey Go Happy you have to find some lost toy. Each level consists from few floors. You have to use elevator to switch between floors. Look for different items and use them in other floors. Use mouse to point and click. What else can you do in games of Sift Heads series as take some revenge to other gangsters who are responsible for something you don't like. 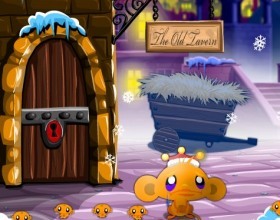 Walk around the places and interact with environment with your mouse. Kill everyone who stands in your way. What are you ready to do for money? Are you ready to lose both your hands to become a millionaire? 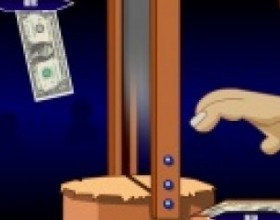 Your task is to put your hand through the guillotine and catch the money. Also you can try to grab some bonuses and power-ups. 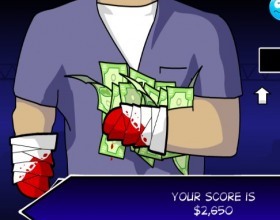 Use the mouse to control your hand and click to grab the money! 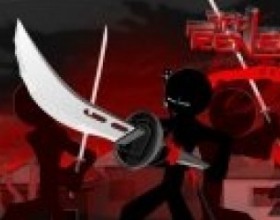 This is an expansion of previous part of Sift Renegade. 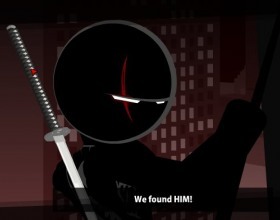 Discover many new features and stories about the guy who fights against Mafia and tries to find his brother. Use Arrows to move and control Kienji. Press X to attack. Select weapons with 1-4 number keys. 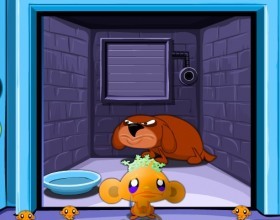 It's sad to say but ONCE AGAIN monkeys are unhappy. 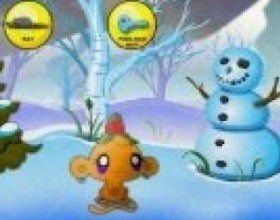 Your task is to find all lost Christmas decorations to make your favourite monkey become happy again. 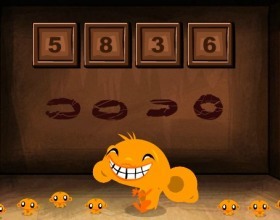 Use your mouse to point and click and solve all puzzles. 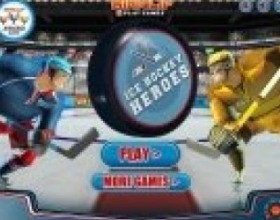 In this spectacular ice hockey game you can really enjoy the show. Move the puck, fight with your opponent and score goals. Use your arrow keys to control your aggressive team. Press Z to pass or switch player. Press X to shoot or check the enemies. 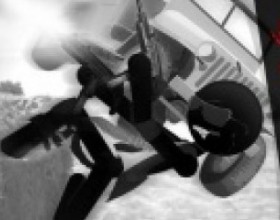 Your task is to cause as much damage as possible by throwing your car into the things to crash them. Also you have to perform various stunts for more points. Press X for a turbo boost. Press Z to launch missiles. Press C to crash the bomb. Use Arrows to control your car. 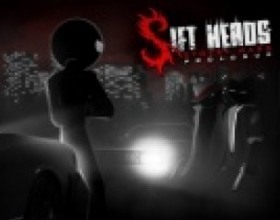 In this third part of Sift Heads Assault series your mission is to eliminate all enemies in order to survive as long as you can. 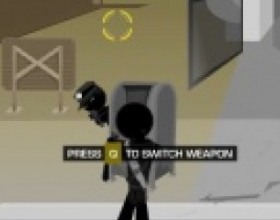 Use such weapons as grenades, guns and your own fists to reach your goal. Use W A S D for movement. Use Space to to pick up items, hide. Use your mouse to aim and fire. In this great basketball game you have to take control over 2 show-boaters and win your opponents in this 2:2 basketball challenge. Show all your skills and perform spectacular slam dunks, amazing dribbles and don't forget about strong defence! Use your arrow keys to control your players. Use Double Tap to dribble / shove. Press Z to pass the ball / switch player. Use X to shoot / Slam Dunk / Block. Travel around the world, win all 5 air races in Rio de Janeiro, New York, Miami, Buenos Aires and Dubai! That's not so hard, just follow the arrows with your plane and you'll win. 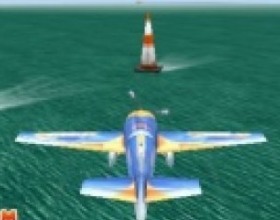 Use Arrow keys to move and lift your plane. Press Z to accelerate. Use X and C to tilt left and right. 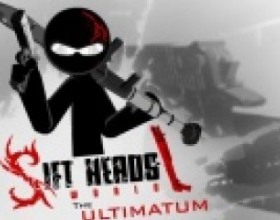 Another great game from Sift heads series. Your mission is to destroy all of the bases! 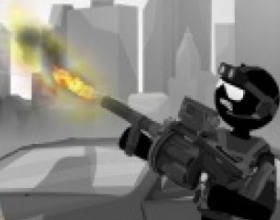 Open new weapons, like, machine guns, flame-throwers and bazookas. Use W A S D to control your character. Use Mouse to aim and fire. Another follow up to Sift Heads series. 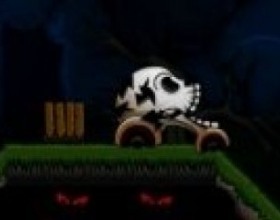 In this 3D game your task is to kill all enemies, use hideouts, move as quick as possible to survive and pass the level. Earn money and upgrade or unlock new weapons. Use A D to move, W to jump, S to roll, Space to pick up weapons. Use Q to change weapons, R to reload, P to pause the game. Vinny now have to deal with 3 mafia organizations: Italian Mafia, Yakuzas and the Russian Mafia. Use arrow keys or W A S D to move. Use Mouse to aim and fire. Use 1-5 numbers to switch between weapons. Press Space to draw weapons. Hold Shift to run. Press R to reload. Everyone wants to be a millionaire, but who can imagine such a horrible way to earn that money? Your task is to catch money through a guillotine. Be careful - this guillotine uses it's own rhythm. Use mouse to move your hand and click to grab money. You are a famous stunt man. Your task is to drive your stunt car, collect film sets and become the best stunt man in the World. Perform the stunts to get rewards and money to buy new upgrades for your car. Use W A S D to move. Press X to turbo, Z to shoot missiles, C to throw the bomb. 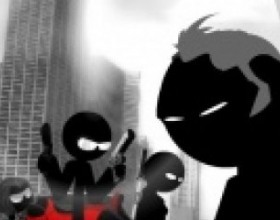 Storyline of Sift Heads continues and this time you have to help Vinnie, Shorty and Kiro run away from cops and complete their mission against the mafia. Use Mouse to control almost every aspect in the game. Press Space to equip weapon, R to reload. 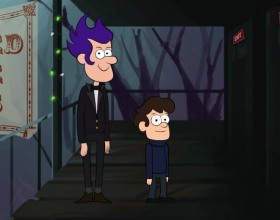 In some animation scenes use W A S D keys. Never ending story of Sift Heads continues. Vinnie and his gang try to find the roots of their enemies and they find out that more than one clan is trying to kill them. Use mouse to control everything in the game. Use Space to equip your weapon, R to reload. Use W A S D in animation tasks. Story continues and now your team is in safari excursion in the depths of the Amazonian rain forest. 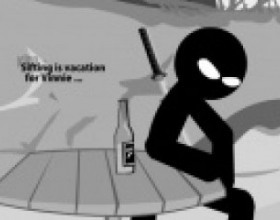 As usual there's some bad guy and that's a job for You. 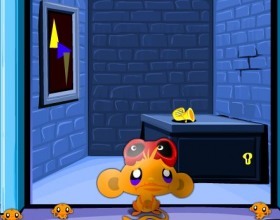 Use Mouse to move, interact, activate, pick up objects, also to aim and shoot. Use Space to equip your weapon. Use R to reload. Follow instructions about additional controls. Your mission is to follow Shorty on his way to Russia where something from her past is tracking her and guys are taking care of that. 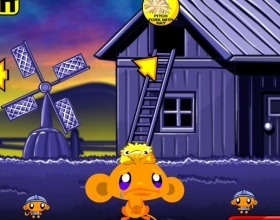 Use Mouse to move, interact with surroundings, pick up objects, to aim and shoot. Use Space to equip weapon, R to reload. Follow instructions in the game for additional controls. 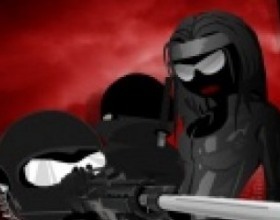 Once again our hero-trio are on a mission and you must help them to hunt down dangerous Alonzo. Use Mouse to walk around, interact with environment and other characters, activate active spots, pick and use items and to aim and shoot. Press Space to use your weapon, R to reload. In some animation tasks you must use W A S D controls. Generally, using a word ”show” we mean a bright performance we sometimes watch on the television or when listening to the radio. As a rule, it has an entertaining character. An immense number of people all over the planet watch various shows every day. A national television in each country has its own TV shows but some of them become truly international. A bright example of this is Oprah Winfrey Show. Really it is of the United States’ origin but nevertheless many people throughout the world watch it with a great interest. Like TV characters the musicians are also very keen of making all possible kinds of shows. In order to make sure of the fact, just watch the translations of rock concerts. Sometimes the singers do incredible things there. A fine example of dancing show is a performance of the Lord of the Dance – a group of dancers with a famous Michael Flatley in a role of the main inspirator. The list can be long continued. Some showmen become so outstanding that almost everyone recognizes them. As shows appear to be so attractive to spectators the game developers decided to profit from this. As a consequence, a new genre of computer games has emerged. 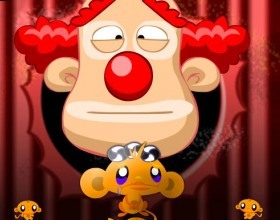 Playing online games dedicated to shows of all possible kinds (political, music or circus) you can be either a spectator or a presenter. Some games offer to take part in fancy balls where you will have to prepare costumes for your performance. 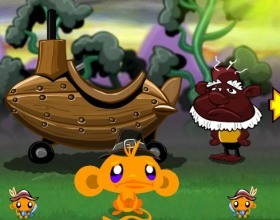 Some games can also be viewed as educational or logical. For example, on our website you can play a virtual version of a famous show Who wants to be a millionaire. To become a millionaire in a virtual world all you have to do is to answer fifteen questions correctly. The tips option is available to save you in case of necessity. We insistently recommend you to play Samontēts degpunktā on our web resource. This is a funny game based on a real Latvian TV show in a style of Crime Watch. For some moments it is really worth playing. And don’t worry: you needn’t know Latvian language to proceed successfully. So if you want to feel like a real TV star and make a grand show it is high time to visit our website and play games within the “Shows” category. It is very easy to create a show of your own here!